This handsome Bar Mitzvah invitation features a gold foil stamped Tree of Life on the front of an ecru folding card stock. 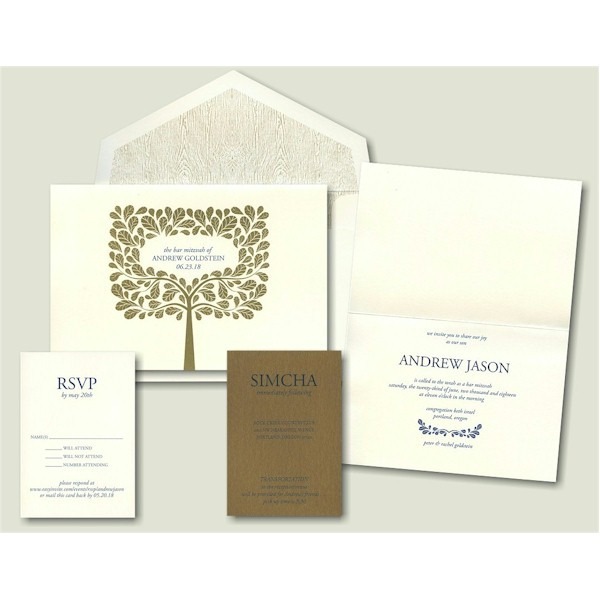 The leaves of the tree surround the Bar Mitzvah’s name and date for the finishing touch! 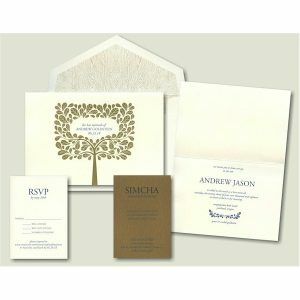 This handsome Bar Mitzvah invitation features a gold foil stamped Tree of Life on the front of an ecru folding card stock. The leaves of the tree surround the Bar Mitzvah’s name and date. Your wording prints inside. Measures 7-3/4″ wide by 5-1/4″ high when folded. Shown with Navy ink and typestyles Adobe Garamond Italic and Garbo. 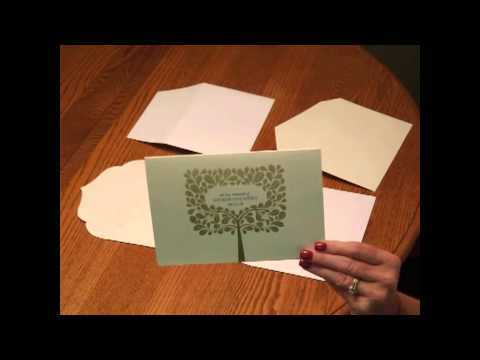 The ecru handcrafted envelope is displayed with the diamond style and decoration DEC1589. 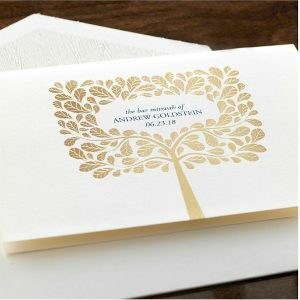 The Reception card will print on Coronado-gold card stock and the Response cards will print on ecru card stock. 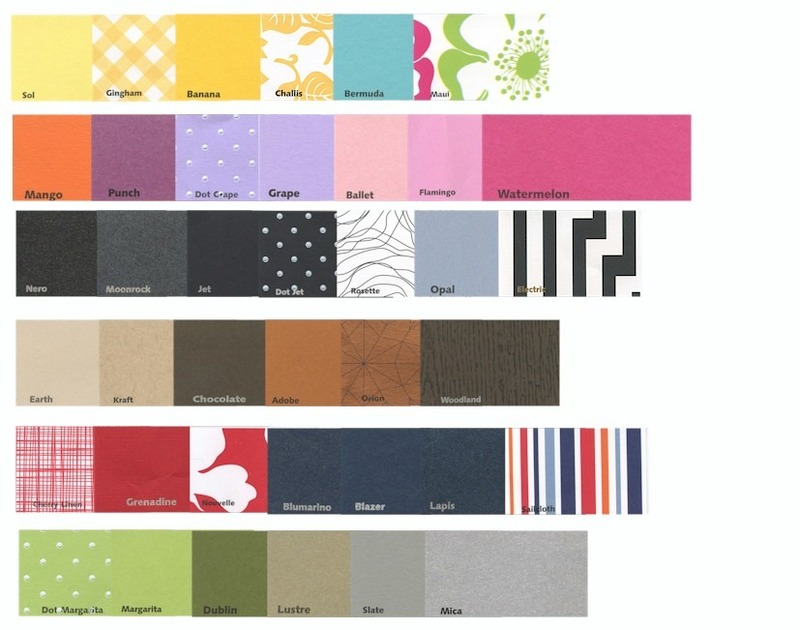 The Informal notes will print on folding ecru stock.